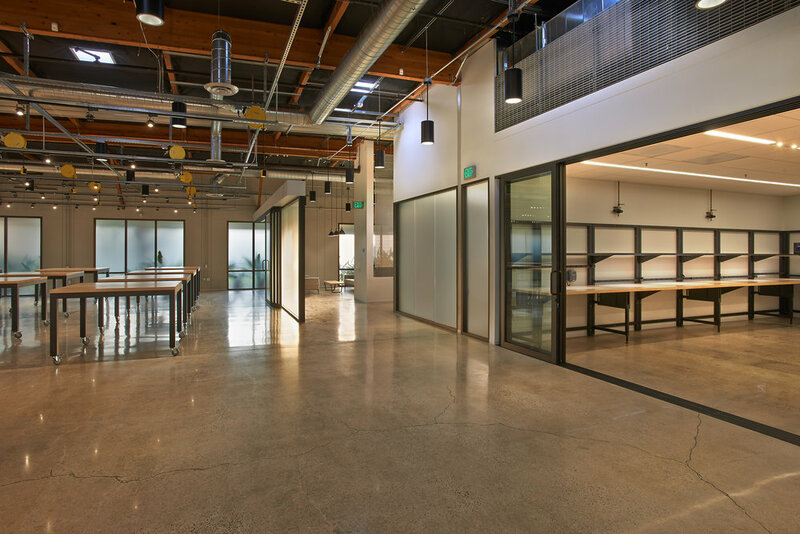 A completely flexible space for a small tech company in the silicon valley. The existing concrete tilt-up was gutted, and a unistrut grid suspended with retractable electrical drops and track lighting over a polished concrete floor. All workstations are rolling allowing the teams to reconfigure as necessary. The space is a reflection of the needs of the modern workspace. As a cost saving measure, off-the-shelf anodized aluminum 3" deep floor grating was used as privacy partitions.